The trail version of traffic control. This was for a large project involving the US Forest Service and the Washington Trails Association. 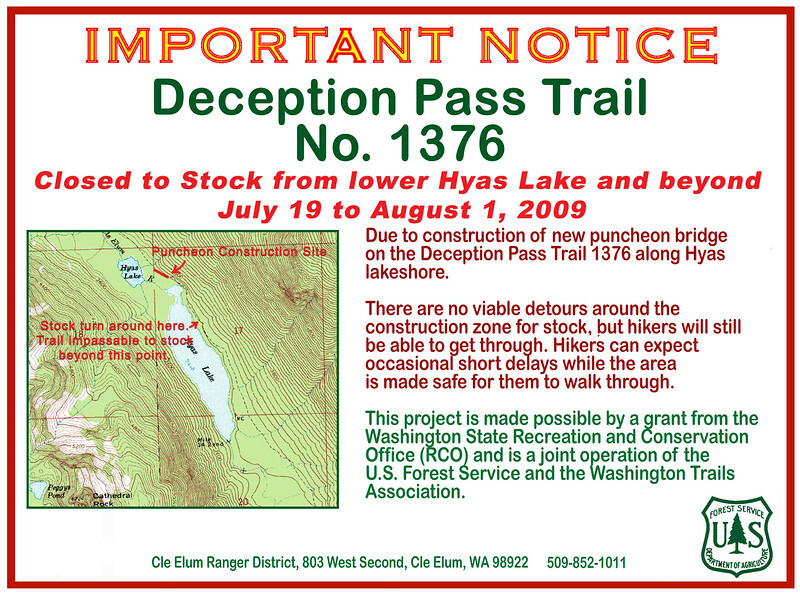 Posted at various locations along the Pacific Crest Trail and at trailheads.